Earlier people used to work in a company during the whole of his working life. People are now frequently changing jobs for a better opportunity. Every time someone changes a job and became worried about the PF amount. Many persons were actually gone for withdrawing the PF which was easier than transferring the PF to the new employer. A few years ago, one of my friends has changed his job and was clueless about how to transfer pf amount. He had to go from pillar to post to complete the transfer of PF amount to the new employer and the time taken was almost a year. But now the pf transfer process has become extremely easy with the advent of Universal Account No (UAN). Even you can transfer your entire EPF and EPS online with few clicks. In this article, I will explain to you the process of transferring EPF and EPS online in detail. Employee Provident Fund (EPF) is a retirement benefit scheme for salaried individuals. The Organisation with a minimum of 20 employees needs to register them with the Employee Provident Fund Organisation (EPFO). It is a small savings scheme which creates a stability and financial security for the employee and dependents after retirement. The money gets deducted from your account every month is accumulated to your PF account. At the same time, your employer’s contribution is also added to that account. At the end of the financial year, interest is calculated and credited to the account. There are numbers of methods by which you can check your PF balance online easily with UAN no. Know more on the EPF, EPS and EPF related insurance scheme and your and employer’s contributions. Why to Transfer your PF? As it is mentioned earlier, people are changing jobs frequently these days. There are several opportunities you have to grab to elevate your career to the next level. 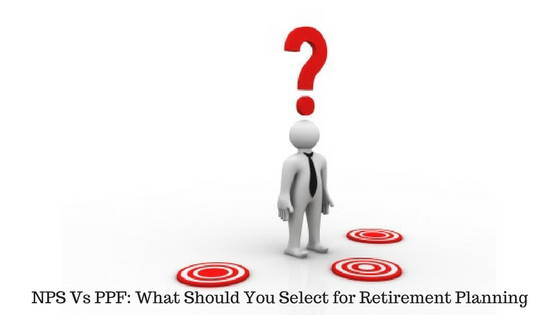 When an employee leaves a job he or she has two options with the PF corpus. Withdraw the accumulated funds in EPF kitty after two months of unemployment and settle the accounts in one go. Transfer the entire EPF balance to the current employer. There is a new set of rule introduced in June 2018 by Ministry of Labour, Government of India. Under the new EPF withdrawal rules, EPFO subscribers will be given the option to withdraw 75% of accumulated corpus after one month of unemployment and at the same time keep the account active. Also the EPFO subscribers have the option to withdraw the remaining 25% of their funds and go for final settlement of account after completion of two months of unemployment. These new rules have been introduced to discourage the entire closing of the PF account. It will surely benefit the subscribers to fight with temporary unemployment and carry on the EPF account instead of closing it. Currently, an EPFO subscriber needs to contribute his EPF account consecutively for at least 10 years to become eligible for the pension. However, if a person closes his or her EPF account two months after losing a job, it may affect the person’s pension eligibility. When you are changing your job and employer changes, don’t withdraw the PF amount accumulated with the previous employer. My suggestion would be to transfer the accumulated PF amount to the account with a new employer otherwise you will lose the magical power of compounding feature of the saved money. The same philosophy is also applicable for the partial withdrawal of the PF amount. The PF is required for retirement, if you break those savings, it will be difficult to have a secured financial life during the retirement age. The small savings over a period of time can save a significant amount for your retired life. Now we will go through you step by step to transfer PF online using UAN. Log in to Unified Portal by using UAN and password. Verify personal information and details of present EPFO account into which money will be transferred. 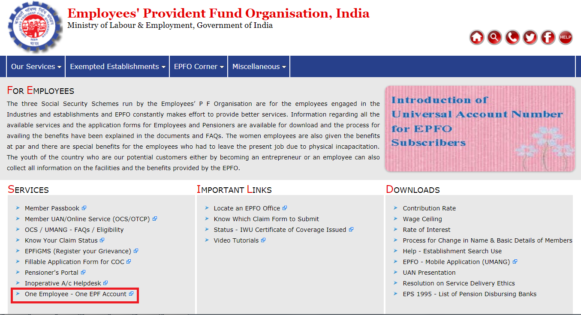 Click on ‘Get details’ and you will get PF account details of previous employment. You have the option of choosing either your present or previous employer for attesting the claim form based on the availability of DSC authorized signatory. Choose either of the employers and provide member id/UAN. In the next step, click on ‘Get OTP’ to receive OTP to UAN registered mobile number and enter the OTP and click on submit. Submit the physical signed copy of the online PF transfer claim form (pdf copy) to the selected employer within a period of 10 days. The employer will digitally approve your EPF transfer request by accessing employer interface of the unified portal. UAN has eased the transferring of money as well as withdrawing the money within few clicks. You can also withdraw PF offline by filling up forms. But before that you need to generate and activate UAN. This UAN will help you to withdraw the PF amount online. Read a detailed post on How to withdraw PF online with UAN for step by step guide. 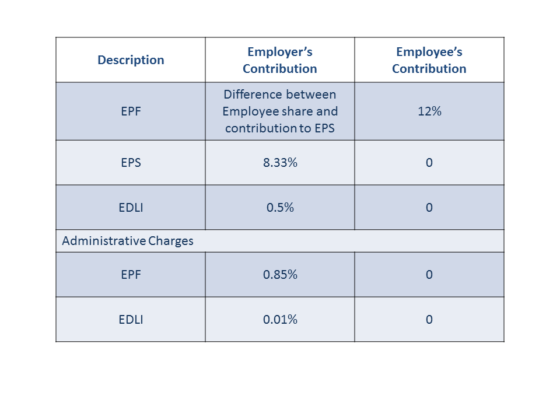 You may curious about the transfer of EPS amount which is an integral part of EPF. You will know about EPS contribution in Basics of EPF, EPS and EDLI. In some of the cases it is observed that the EPS is not reflected in the new PF passbook. Transfer of service details from one employer to another helps to track the number of years of work of a subscriber. There is minimum of 10 years required to be in the service to be eligible for pension. Also you have to complete 58 years of age. If you have not crossed 10 years mark on the job do collect the scheme certificate from EPFO. You can submit this certificate when you join an organisation with EPF facility. Details of family members who will become eligible for pension after the EPF member dies. If you don’t join an organisation and crossed 50 or 58 years age you can, submit the certificate to the EPF office under whose jurisdiction your last EPF number was covered. You are leaving an organization and not reached the age of 50 or 58 years. The EPS Scheme Certificate can be applied if you have served for less than 9 years and 6 months. The person decides to opt for withdrawal from EPF after making regular contributions in EPF for 10 continuous years. In such a case, he or she will not be entitled for EPS withdrawal. In this case, he or she will be handed over the EPS Scheme Certificate. When you join a new organisation submit the scheme certificate collected from the EPFO office. Once the new employer accepts the certificate send it to EPFO for integration with new EPS account. The previous service record is added to the new service record. The employer’s contribution is accumulated in EPS account regularly. The maximum amount per month is Rs 1250 is credited into the account. You can check the EPS balance online like EPF. The facility of PF transfer was always there but very few subscribers have actually used it. The process was cumbersome and you need to spend a lot of time to transfer the amount to new PF account. It was certainly easy to withdraw the PF amount rather transferring it. Now the advent of UAN and online facilities have turned your job extremely easy. You can easily transfer the amount to the new account without actually withdrawing the accumulated corpus. Share the article to inform others.